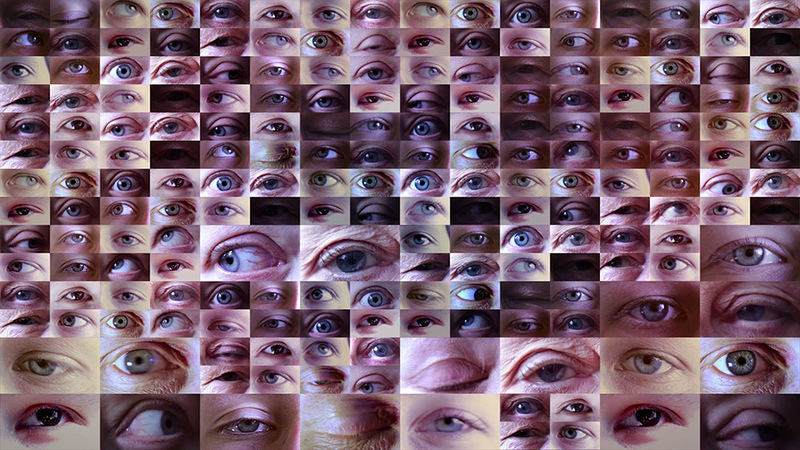 A macro image of an eye divides sporadically to 16384 eyes, which eventually, pixel-like, form one eye that fills the screen. Ad infinitum. Two versions exist, for installation and screening respectively.